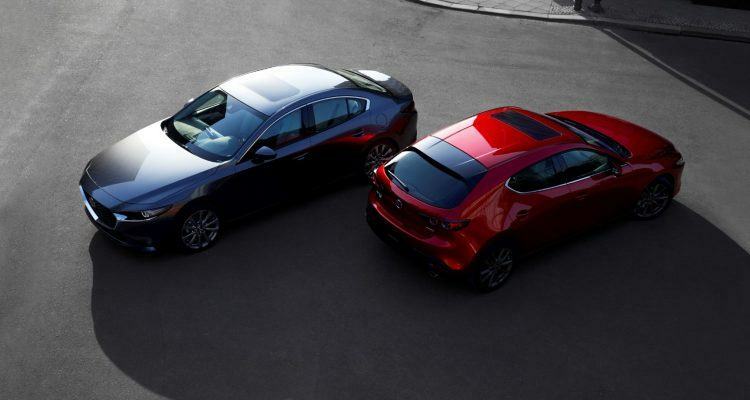 The 2019 Mazda3 comes in two styles, sedan and hatchback. A manual transmission is available in certain combinations. The list of connectivity and safety features is impressive. Mazda keeps cranking these little guys out and it’s easy to see why. 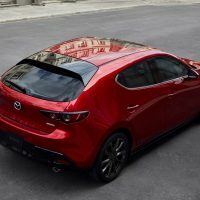 The Mazda3 is the best-selling car for the Japanese brand. I know, that’s kind of sad. I was hoping for the Miata, but it’s not a sports car world I’m afraid. 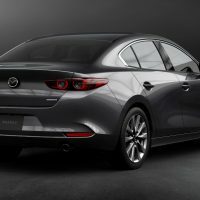 So what makes the 2019 Mazda3 so hot? The usual stuff for Mazda: value and lots of goodies and fun. Mazda might not be the most popular Japanese car brand, but they do hit a certain sweet spot. 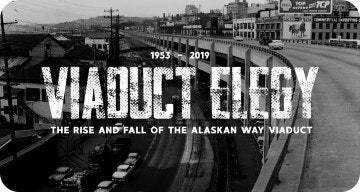 A spot where lots of innovation, high-end content, and driving fun meet for not much money. 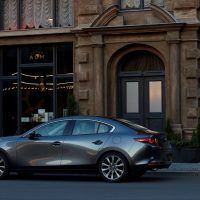 The 2019 Mazda3 is a good example of this sweet spot. Starting at $21,000 in sedan skin, the 3 gets you a lot of car for not that much cash. There’s also a hatchback flavor that starts at $23,600. Regardless, both are propelled by the wonderful, race-derived SKYACTIV-G 2.5-liter engine. That engine cranks out 186 horsepower and 186 lb-ft. of torque, which is impressive, but not great (volumetrically speaking). There’s paddle shifters for the six-speed automatic. 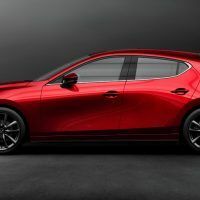 But – and this is a big but – Mazda also has a six-speed manual transmission available for you old school gearheads out there. The manual is reserved for the front-wheel drive hatchbacks in Premium trim. Related: The Bruno Mars of sports cars? Meet the 2019 Mazda MX-5 Miata RF. Front-wheel drive is standard, but Mazda’s predictive i-ACTIV all-wheel drive is available. No, I have no idea what “predictive i-ACTIV all-wheel drive” is, exactly, beyond more marketing speak gobbledygook. But I do know that having all four corners pawing at the pavement is (usually) a good thing. So good on Mazda for making that an affordable option. The SKYACTIV engine uses cylinder-deactivation to lower fuel consumption when all you’re doing is cruising long distances down the highway. 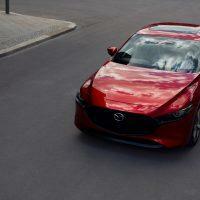 The new 3 also gets G-Vectoring Control Plus, Mazda’s torque vectoring scheme. 16-inch wheels are standard, with 18 inchers as an option. 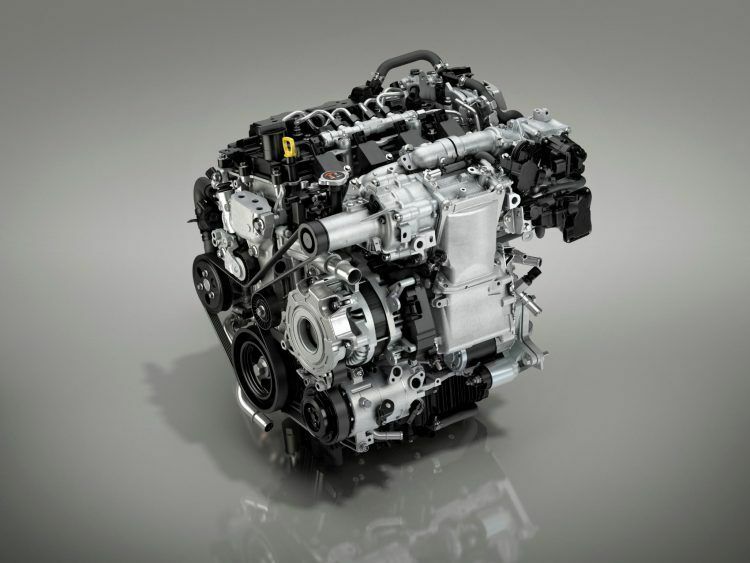 SKYACTIV-G 2.5-liter engine. Photo: Mazda North American Operations. 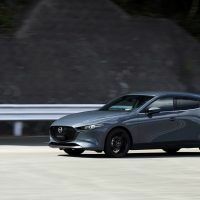 Sadly, that’s about it for any performance-related news on the 2019 Mazda3. However, the other stuff, the interior and infotainment and all that, is where all the bang-for-your-buck is. The interior is entirely new for 2019 from the center console on up. Said console has a new shift knob and armrest for a more natural feeling for the driver. There’s a new 8.8-inch infotainment screen standard on all models. The “gauge cluster display” is now a seven-inch TFT reconfigurable screen. The eight-speaker sound system features a “three-way layout” with Bluetooth phone and audio pairing, HD radio, and two USB audio inputs. Apple CarPlay and Android Auto are also standard. 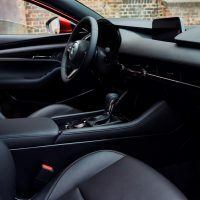 Comfort-wise you can expect leatherette seating surfaces, a leather-wrapped steering wheel, and dual-zone climate control. 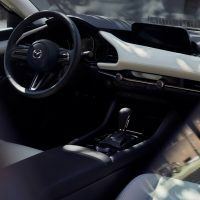 Safety-wise there’s a host of standard features in Mazda’s i-ACTIVSENSE package: Driver Attention Alert, High Beam Control, Smart City Brake Support, Blind Spot Monitoring with Rear Cross-Traffic Alert, and Lane Departure Warning just to name a few. 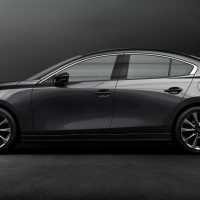 Did I mention the 2019 Mazda3 sedan starts at only $21k? 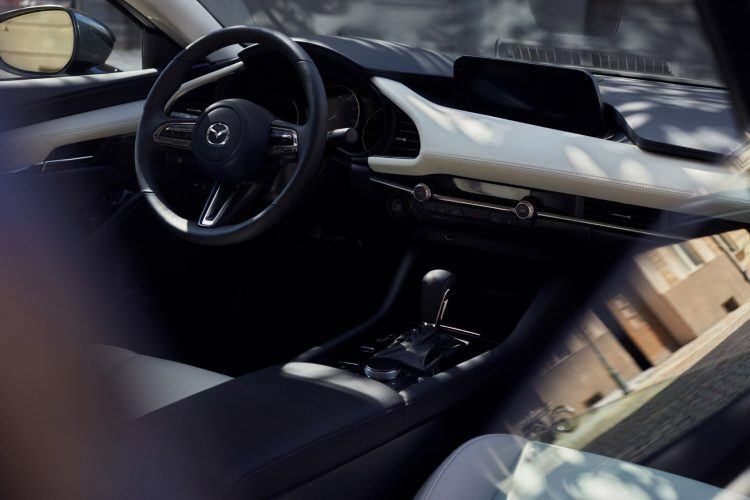 2019 Mazda3 interior layout. Photo: Mazda North American Operations. 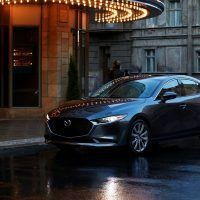 There are three additional packages available for the 2019 Mazda3: Select, Preferred, and Premium. Depending on the package, you get even more neat stuff but it is model-specific. The sedan can come in all three but the hatchback only comes in Preferred and Premium. The Select package nets you everything we just talked about while the Preferred package comes with an upgraded Bose stereo. The Preferred also includes an eight-way power driver’s seat, power lumbar support, two-position driver memory, and heated front seats. The Premium package gets a trick HUD setup called the Active Driving Display that projects onto the windshield. The Premium package also gets you leather seats, a power moonroof, and the Adaptive Front-Lighting System. So yes, you get a lot of stuff for, what should be, entry-level money. A complete pricing chart is below. 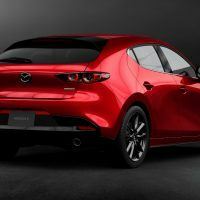 Expect to see the 2019 Mazda3 at dealers in March. 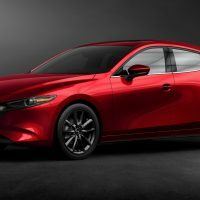 No Comments on "2019 Mazda3: Two Flavors & Plenty of Extras"